What a crazy week. I feel like I've started a million projects and haven't finished any. Do you ever have weeks like that? (maybe that means I'll have a lot to share next week, as these projects come together) Here's a fun repurpose project I did complete this week. 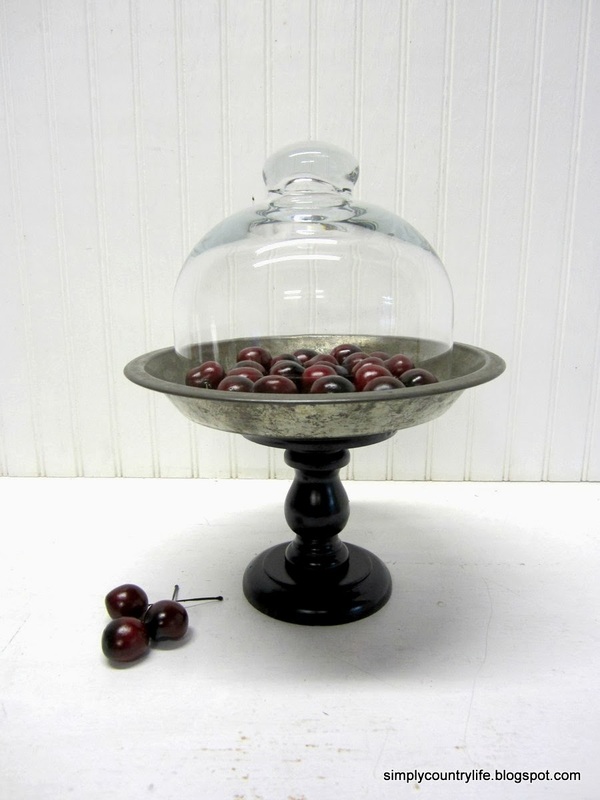 and a thrift store glass cloche to create a pedestal stand. before painting the stand black. Then I attached the vintage pie tin. I love the graphics on the tin. 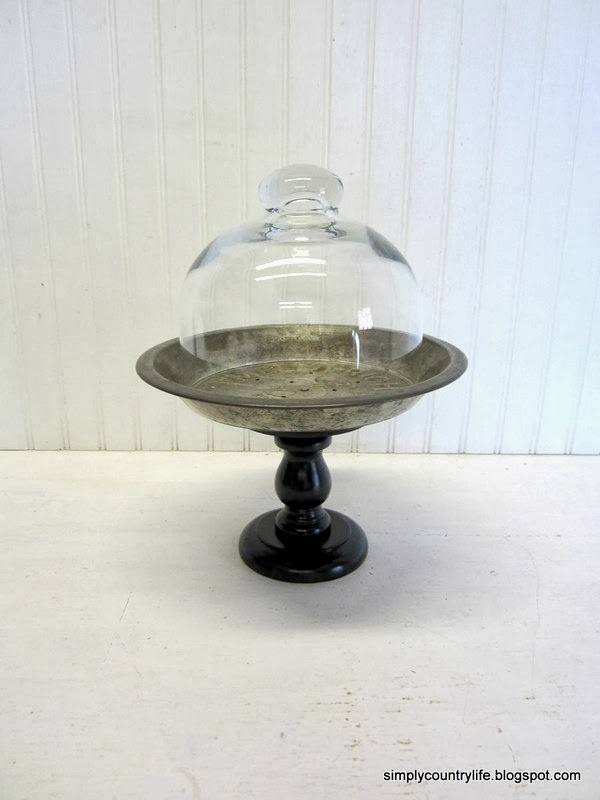 Then just simply added the glass dome. I have made a couple of these, in the past, using vintage wood spools as the stand. but this one is definitely my favorite! I think it would be fun to display homemade treats in it. Oh, and please tell me I'm not the only one with a pile of half finished projects. I'll be back soon with more completed projects. Thanks so much Dawn! Have a great weekend. I, too, like the old patina of metal with the glass and wood. Very nice. Thank you. I love the patina. I have a small collection of pie tins on the wall in our kitchen. I love the mix of materials - pretty and practical! What did you use to attach the pie pan to the stand? Hi Donna, I glued the pie tin to the wood stand with epoxy, but you can also use E600 glue. You can get it at Wal-mart or any craft store. I also drilled a small hole through the center of the pie tin and wood base and ran a nail through it. Then just clamped it overnight to let it dry. You can see the nailhead in the pics, but it kindof blends in with the tin. I hope this helps. Thanks for stopping by. How cute! Love the idea of the pie tin. Also, hello from Knick of Time Tuesday! 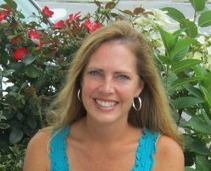 Hi LeeLee, thanks for stopping by! 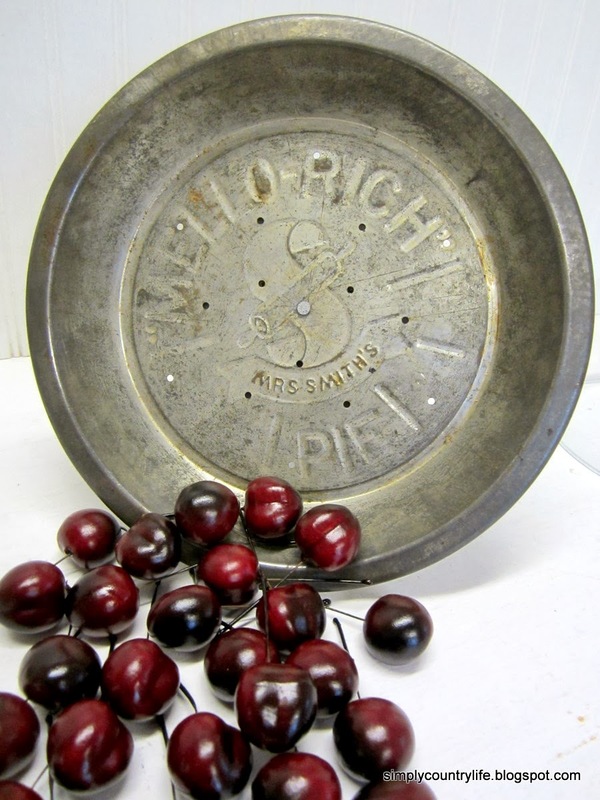 I love the old pie tins. Heading over to check out your blog now! love your married together stand. I laughed when you asked if anyone had a week like that. It seems lately I have a life like that. Thank you so much for the compliment and sometimes life definitely feels that way. Love this....so much!! The pie tin blended with the black base looks awesome! I'm really loving the way this one came out too! Thank you so much for your kind words.